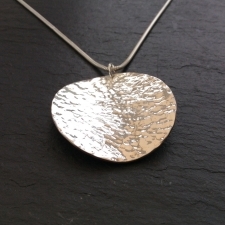 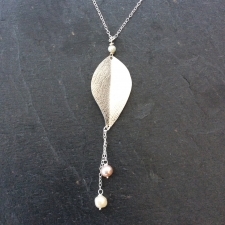 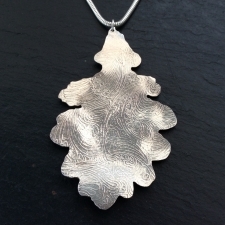 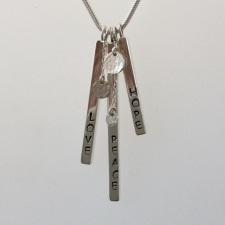 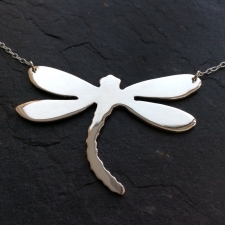 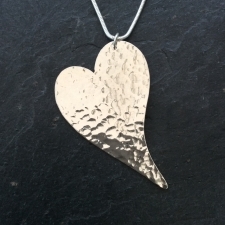 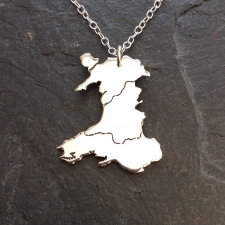 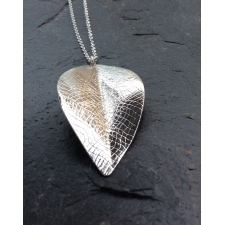 A handmade silver leaf with a matte finish on the front and ahigh shine on the back. 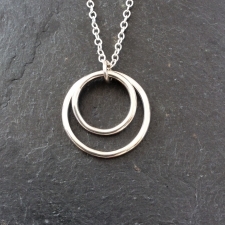 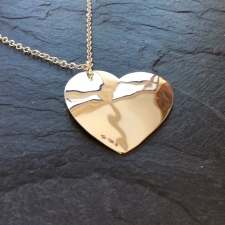 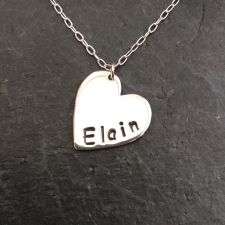 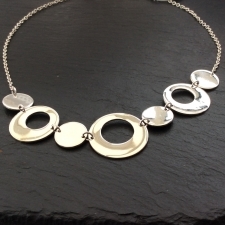 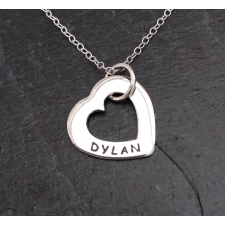 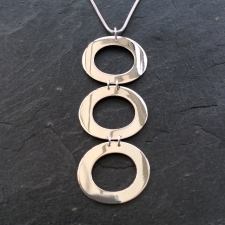 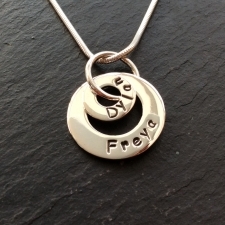 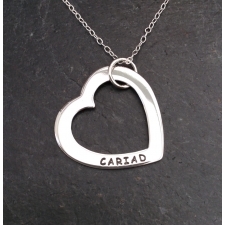 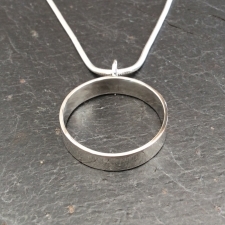 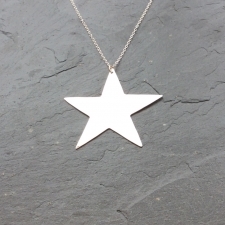 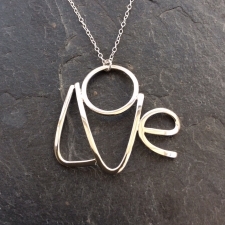 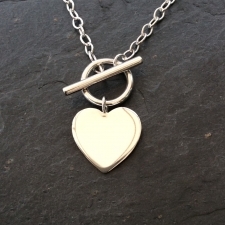 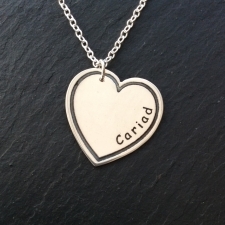 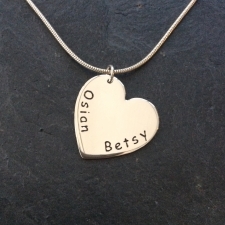 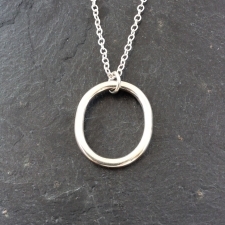 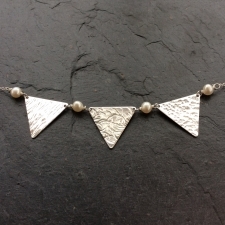 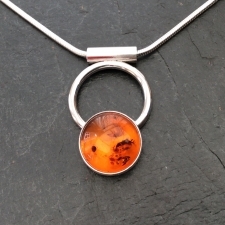 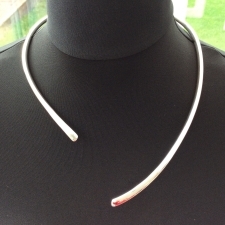 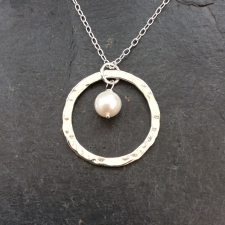 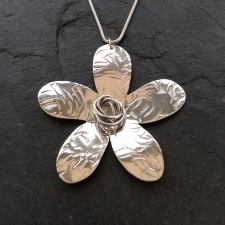 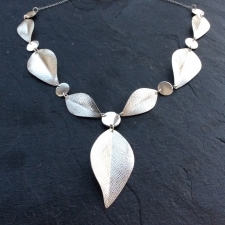 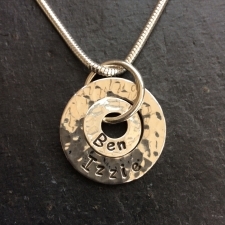 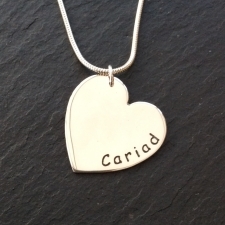 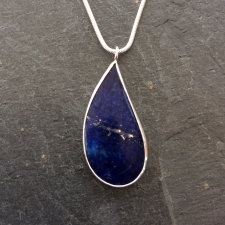 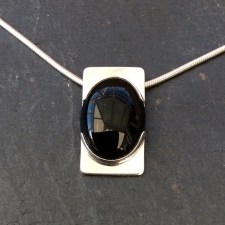 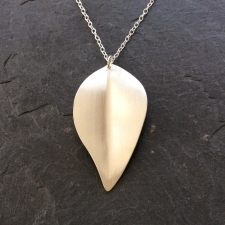 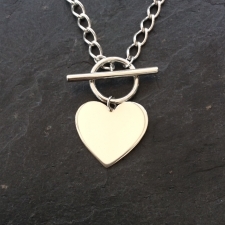 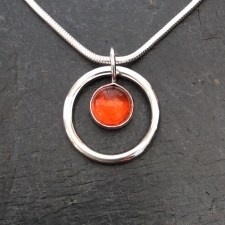 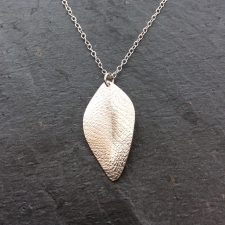 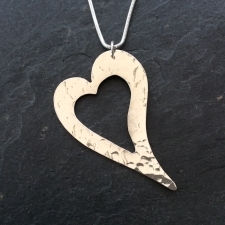 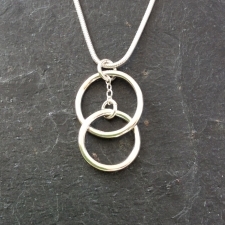 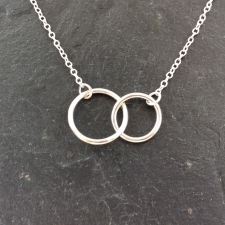 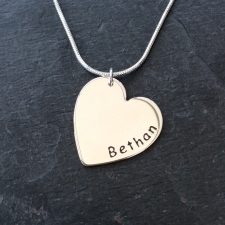 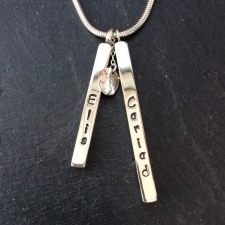 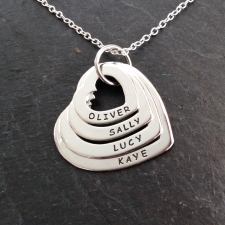 A handmade solid silver necklet, shaped to sit perfectly over your collar bone. 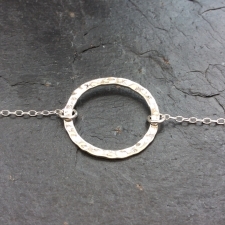 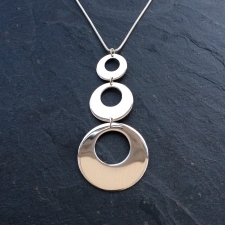 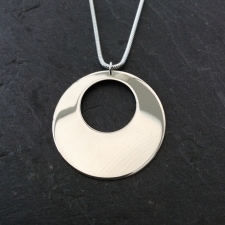 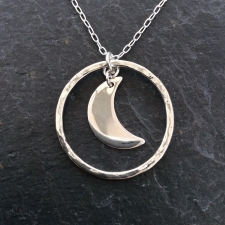 A handmade silver moon with a lightly textured silver ring around the outside, both with a polished finish. 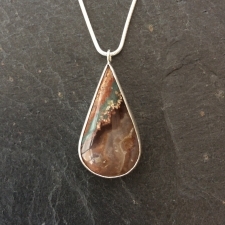 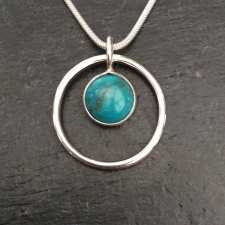 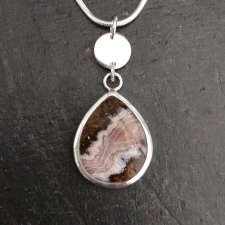 A handmade silver pendant with a large round Labradorite stone setting, finished on a silver snake chain.